How Wolfman decided to write the storyline for this game is very thoughtful of the co-op element itself. This game features not one, but two main characters who share an equal role in the quest. To make them work together effectively, not just through gameplay mechanics, he had to write the story as more of a long, in-game conversation between these two Disney icons (similar to a Left 4 Dead). 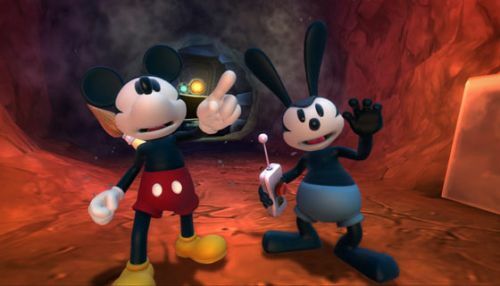 Whichever way you choose to play Epic Mickey 2, whether it’d be alone or with a friend (we certainly hope you bring a friend along), this game will tell a unique, but classic Disney story that you’ll get to experience in a total different way than you did from the original. Disney’s Epic Mickey 2: The Power of Two releases this November 18th on all major platforms. Page created in 0.2383 seconds.